In the 1920s, Habeen Salloum's parents left behind the orchards and vineyards of French-occupied Syria to seek a new life on the windswept, drought-stricken prairies. 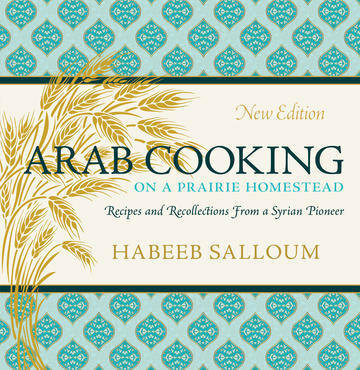 With recollections that show the grit and improvisation of pioneers, Arab Cooking on a Prairie Homestead demonstrates Sallum's love of traditional Arab cuisine. By growing "exotic" crops brought from home - such as lentils and chickpeas - the Salloums survived the dirty thirties and helped change the landscape of Canadian farming. Over 200 recipes in this updated classic - from dumplings to lentil pies to zucchini mint soup - provide today's foodies and urban farmers with dishes that are not only delicious, but also gentle on the wallet and climate-friendly.